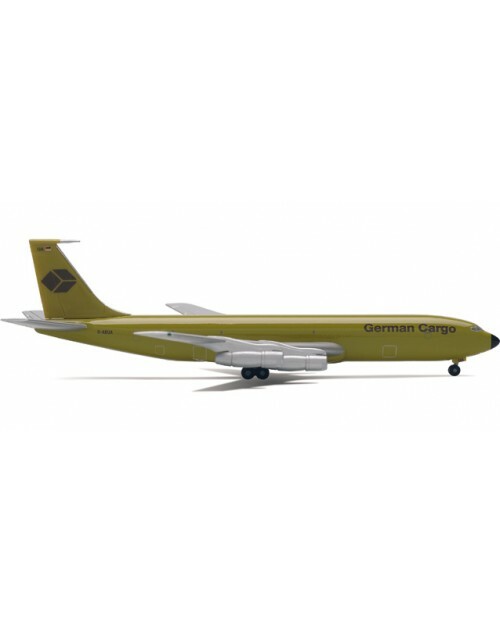 1/400 scale die cast Herpa Wings German Cargo Boeing 707-330C with 1970s color scheme. Item # 560610. Registration: D-ABUA. Released in December 2002. Dimensions: Length 4 5/8 inches (11.8 cms), wing span 4 1/2 inches (11.4 cms).